As The Daily Truffle points out, Prada is not to the only designer who brought clear plastic accessories to the Spring 2010 runway shows. 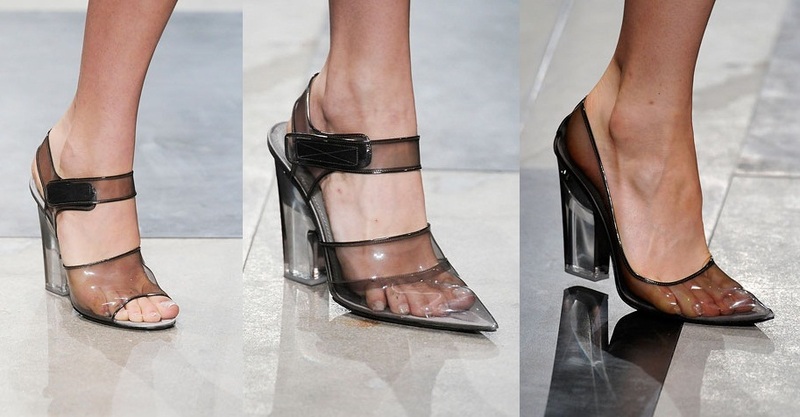 Chanel and Michael Kors followed suit, though these are a far cry from the the inexpensive plastic “jelly” sandals that dominated beaches in the 80s (and experiences a resurgence a few years ago). In the January issue of W Magazine, Prada’s clear (clearly expensive, that is) heels make a showing in the extensive Spring Fashion spread.